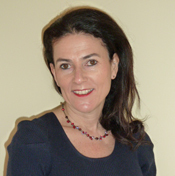 I am an experienced Psychodynamic Psychotherapist and Counsellor. I am a registered member of The British Psychoanalytic Council (BPC) and of The British Association of Counsellors and Psychotherapists (BACP). I am also a member of the Tavistock Society of Psychotherapists. Being a member of these organizations I adhere to their strict code of ethics and professional standards for practice. I trained and qualified from The Tavistock and Portman Clinic and obtained a post graduate qualification in Psychotherapy and Counselling in the community from The Manor House Centre for Psychotherapy & Counselling. I have worked extensively with adults in private practice, within the NHS, in primary care, within a North London GP’s Practice and at The Tavistock Centre. In addition I have provided therapy and counselling to Adolescents (aged between 14 and 25) at The Brent Centre Young Peoples Consultation Service and an Inner London Secondary School. I have a particular interest in working with difference and diversity in the consulting room. With my training at The Tavistock focussing on inter-cultural dynamics in therapeutic practice, I have applied this by ensuring through my extensive experience I have an understanding of patients with a broad range of ages, ethnicity, cultural backgrounds and sexual orientation. Along side my private practice I have worked for the past 3 years as a Psychotherapist delivering long and short term Psychotherapeutic trauma support to men and women within an award winning service and joint venture between The Tavistock and Portman NHS Trust and The British Red Cross. My practice is based in Highgate.